*Some Zazzle products are subject to special return restrictions…like Custom-made Keds’ shoes, stamps, stickers, and certain stitch files on embroidered products. 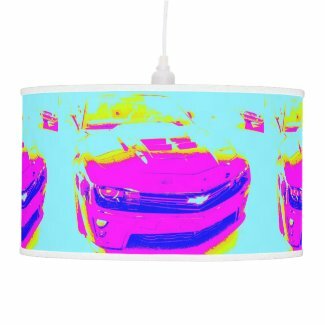 A Hanging Pendant Lamp with a pink Camaro ZL1? This Lamp-in-the-Box Hanging Pendant Lamp is on my Zazzle store. I made it from an altered photo of a Chevrolet Camaro ZL1 that I saw at my local dealer. Click on the image if you would like to buy it or view the rest of my store. All products are 100% Satisfaction Guaranteed. Thanks for stopping by and feel free to follow me on this blog or just fill out the contact form below and press the “Submit” button.